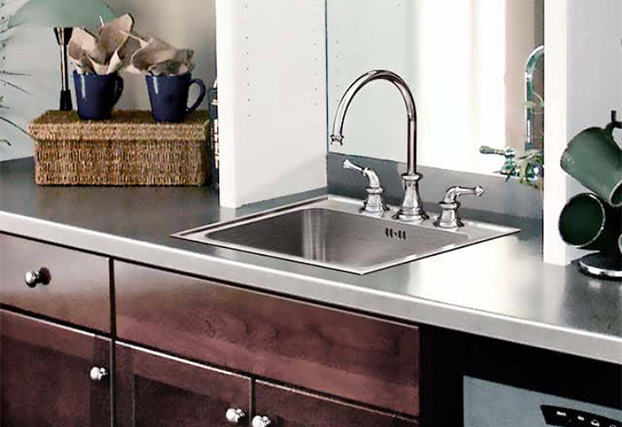 Just Manufacturing is a leading producer of commercial grade stainless steel sinks, faucets and application specific plumbing products for varying purposes (heavy and light commercial, healthcare, and sustainability enhanced aesthetics, institutional and residential projects). Just Manufacturing provides the utmost quality, while ensuring flexibility for creative design and optimal aesthetics. 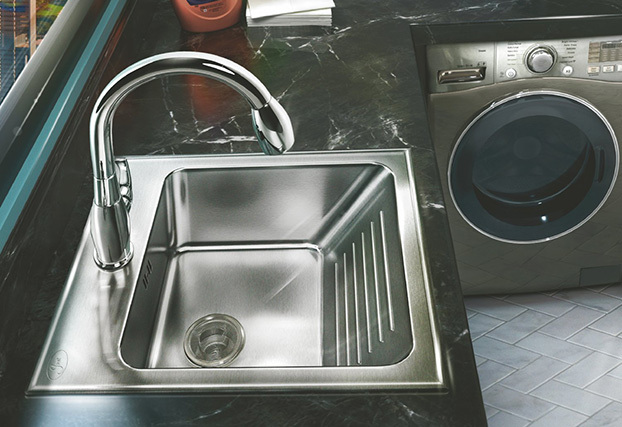 Just stainless steel sinks and plumbing products enhance both form and function in significant construction projects around the world. 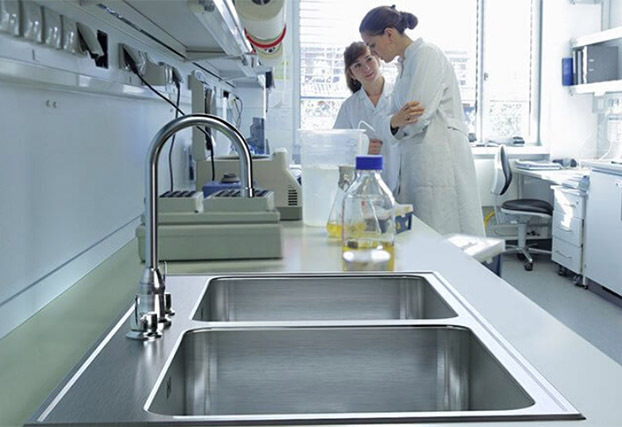 Just Manufacturing is also an industry innovator with sinks made fromCuVerro antimicrobial copper-nickel touch surfaces for hospitals and infection control programs. 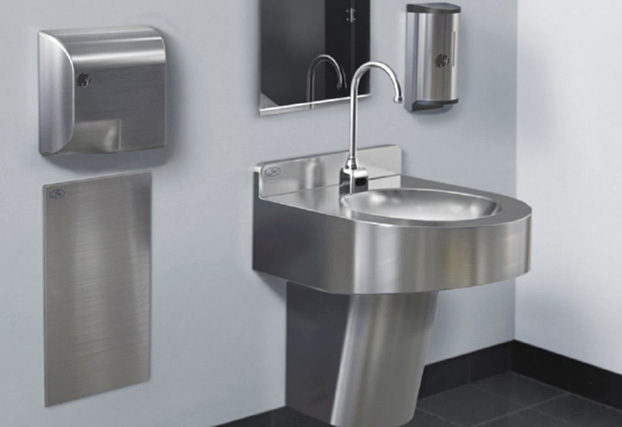 Our comprehensive product line of commercial grade sinks, fixtures and faucets are application specific for medical, academic, hospitality and ADA compliant environments. Specific installations include surgical areas, public lavatories, in patient rooms, classrooms, laboratories, assisted living and institutional environments. 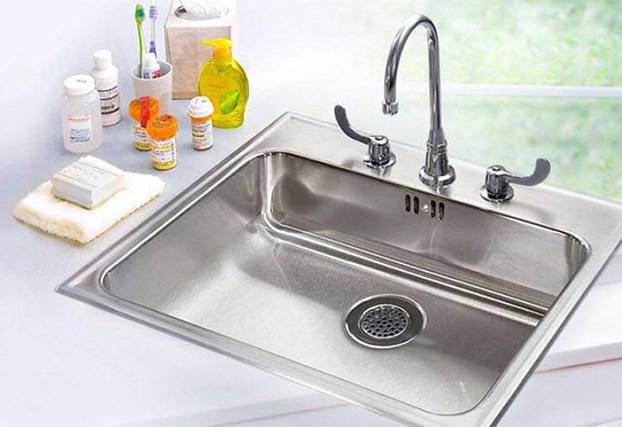 Just uses Type 304 or Type 316 certified USA milled stainless steel to produce the best grade corrosion resistant stainless steel sinks available. 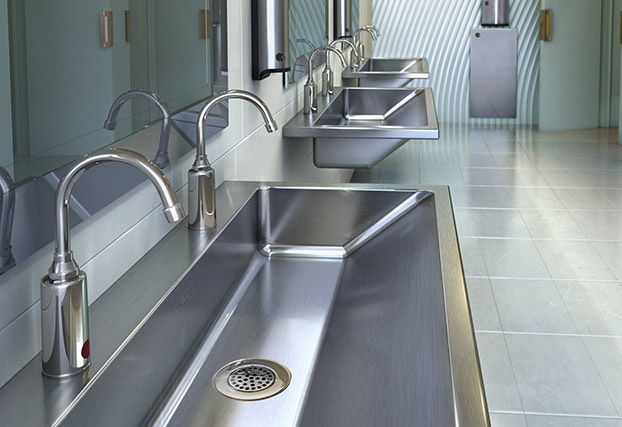 Our stainless steel plumbing fixtures and products have been specified for commercial, residential and government projects worldwide. Just Manufacturing has an extensive nationwide rep network along with strategically located warehouses for prompt delivery. 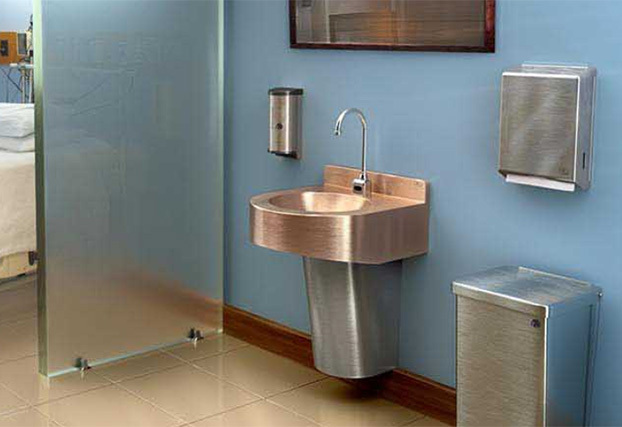 Antimicrobial Copper Surfaces to MAXIMIZE Healing Environments! 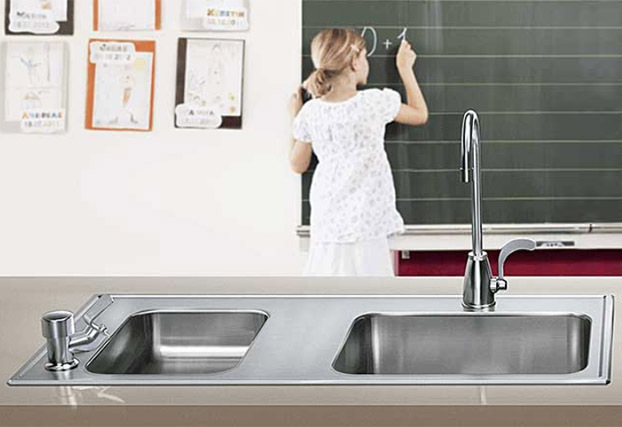 Sink Models - Single Bowl, Double Bowl , Triple Bowl, Apron / Farmhouse , Deep / Extra Deep, Scullery, Scrub Stations. Faucets - Single Handle, Double Handle , Gooseneck, Enviro / Sensor. Project Types - Academic, Assisted Living , Commercial, Custom Fixtures & Counters, Faucets, Drains & Accessories, Food Service, Government, Health Care, Laboratory, Hotel Suites, Institutional, Residential. 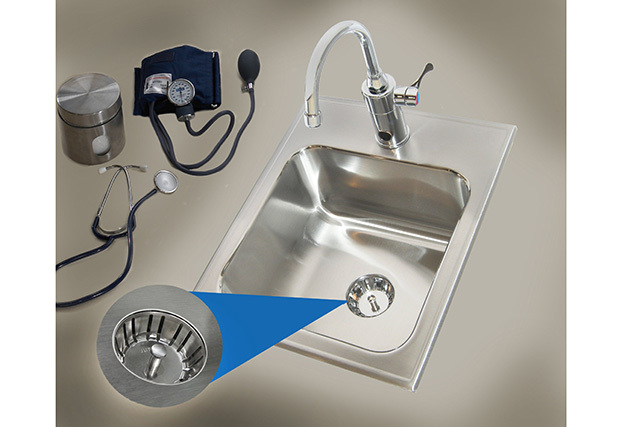 The Integra Drain creates an integral drain in-sink system, without any additional parts or rings. Provides a cleaner look which is also more hygienic. Washboard laundry sink systemsfor heavy-use laundry care or utility room environments. 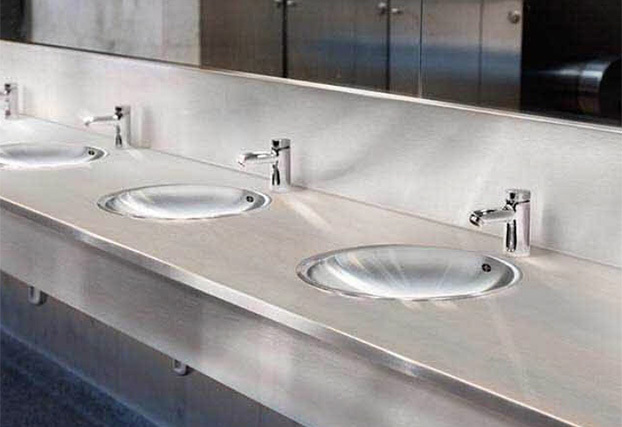 Heavy duty commercial grade lavatory systems for heavy use public lavatoryapplications. Just Manufacturing’s commitment to an environmentally conscious production facility is an ongoing process of awareness and improvements.